– Enjoy a huge scenario and explore 4×4 mile environment on a micro scale. 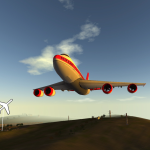 Currently RC Plane 3 is available for iOs, Android and Mac with a windows versions in the works. When will the next big update with new planes be? Could you please add the SR-71 blackbird as one of the new planes? Hey, admin, really good question. To unlock the dark angle plane it’s telling me to hit a social share button on my Account Pannel, problem is, their isn’t one. I have touched every button and have ended up here as a last resort to figure out how to get this plane. I tried to get the planes that were supposed to be given to me by the gift of RC Plane 2 giving me planes I never RC Plane three, these are supposed to be free planes but it’s not really a gift if I have to pay for something to get other planes. It’s not a gift if I need to purchase it. So I would suggest making a normal social share button because I can’t find it anywhere to unlock the F-18 Dark Angle, aircraft, and the gift thing linked to RC Plane 2, actually needs to be a gift and not a purchase. It’s not a gift if I need to buy it. I played RC Plane 2 for atleast 2 years, for that I feel I should be able to receive the loyalty gift from RC Plane 3, that is linked to RC Plane 2. Please get back to me, either on my Facebook messenger. Or find my account on RC Plane 3. Thank you for your time and I hope you can help and acomidate. Unfortunately due to some kind of revolution in facebook privacy handling, social share button isn’t currently working in RC Plane 3. Should have an update coming out decently soon. Thanks for your report, suggestion and patience. I need help. My brother and I are trying to play multiplayer but it’s not working. Can anyone help? Of course, what’s the problem, explain us. I’m loving Tuscany and I know there’s lot’s more to discover than I have found so far but when do you think the next scenario will be released? Next scenario is under development! When will RC plane 3 get on windows 10 or lower? I used to play rc plane 2 a lot and I really enjoyed it. I discovered rc plane 3 trying to install it on a new device and something that really stresses me out are the joisticks. I have an iPhone 5 and the smal joisticks the game has don’t let me have the control I had on rc plane 2 (it also happens on drone gp). I would really appreciate if you could add an option to increase their size. Great thanks for your feedback.Hope you’ll find some improvements in this regards with next update. Hey I bought the WW2 ops bundle in RC plane 2, I really like how the corsair is available for free but also really wanted to have a go with the new aircraft like the FW190 etc as I purchased the bundle in the earlier version. I realise there is probably little chance of being able to essentially transfer the purchase but I would be totally stoked if you guys could pull it off for the pilot who’s currently hooked on your games 🙂 I’m currently loving the new physics and expierience and I also look forward to your reply. I can not Throttle operation. Hello, what device are you playing on ? Why can I never find another player in multiplayer? I have only ever found one other player. I have an iPhone SE. Also I can never find players online. Also、 double tapping the screen to revert the view to normal again makes the game crash and close. Those aside, the game is awesome. You should get flitetest or rotor riot to advertise for you. If people see the flite test or rotor riot guys playing this they will all get it. Can you add the F/A 18 Hornet on here as a plane??? I will notify you about anything else. Thanks for reading! Thanks Aidan for reporting this, we found the bug and fix is incoming! Thanks for the report. Fix incoming. Where is the social share button on iOS? I can’t seem to find it. Also, more free planes, and new scenario? In the account panel, reachable by tapping your username in main menu or pause screen, you should find a “Facebook invite” button. New scenario coming, but can’t yet share a release date, stay tuned for news and great thanks for feedback. Could you please please please add more classic seaplanes/ floatplanes in future updates as in planes such as the DHC-2 Beaver and Cessna 182 ( and possibly such as a Cessna Grand Caravan w/ floats)? Those would be really enjoyable!!! I am very much enjoying the eXplorer at the moment, it’s my favourite plane!!! Hi and thanks for the suggestion! Gamepads support could be a great improvement for this game. I own a GPD XD and it could awesome to use the gamepad instead of the touch screen. email us at rcplane3@frozenpepper.it for more info. We have introduced experimental MFI controller support with latest version, try plugging the controller, it might be automatically recognised and handled. (no direct experience with your model, but there is a chance it might work). are all the planes free or do u have to buy them. Some are free, some have to be purchased, others are unlocked if you are a RC Plane 2 customer, one is unlocked by inviting friends on Facebook to play RC Plane 3. I am not Happ with app at all. The keeps closing out every time I play it. Want my money back please. Is there a button to reset control settings to default. If not you should add one. Also what plane do you recieve from the Facebook invite when you send an invite to friends. I have gone through every plant and there aren’t any new ones that have become visible or unlocked. 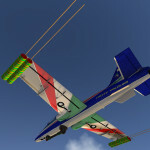 i just got rc plane 3. its a great game. but when i try to play multiplayer, it doesn’t work. could you possibly post a comment on how to play multiplayer? when ever i try to make a match, it says could not make a steam lobby. please try again in a few. Any ideas what’s going on? thank for your report and sorry for the issue. looking into it. When I run this game, I get a message saying the screen resolution is incorrect. For some reason the game is starting in a poor resolution for my monitor. Where is the configuration file where I can set the screen resolution? Hello Wruined, sorry for the issue. We currently don’t have a configuration file to change resolution but you should be able to change it from the in-game options menu. Hope this helps, if it doesn’t, please let us know via email your desired resolution and we will see if we can update the game to support it. thanks. I’ll send an email with more detail of the issues; but basically I have been able to resolve it using the in game options. Full screen seems not to apply unless I also change the resolution; and then change it back. But I’ll experiment and let you know more thoroughly. There’s a strange warning window about screen resolution that crops up in some games (not only RC3) and is hard to remove. It may be steam related. Great thanks for the detailed reply ! We will further look into it, especially the strange warning window and hopefully will come up with some improvements in this regard. Hey, I have a question for the admin, or development teams. I have a special interest not only in planes but in birds. Now I know this is RC Plane three but I am not asking to let us be birds, but instead an ornithopter. A bird or bat like aircraft, mechanically designed to move and fly like a bird. They today make many models including dragon designed, bird and even bats, some even hand pterosaurs. So why not with the realistic winds in the game and a little creativity and skill make a series of ornithopters to play as, with the ability to flap, and glide and ride the currents and use something as minute as your tail to navigate the sky and around obsticals, maybe certain diving mechanics could be involved to make the aircraft a unique one of a kind experience. I have other ideas but for now I’ll just put this one out their. Sorry for getting back so late, notifications had some issues. Very cool ideas, great thanks for them. 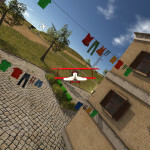 We are actually working on a “Eagle Sim” so you might be interested in joining the soon coming beta for it ? if such email us at info@frozenpepper.it specifying your username or email from this post. Thanks again. How do I unlock the f18 dark angel? is there any way that a r/c transmitter can be used instead of using a joystick or a keyboard as it would be a excellent training program/app for novice r/c flyer’s.The different aircraft that are available would show and teach novice r/c flyer’s that all aircraft react differently when flying.Experienced r/c flyer’s would also use this app. Hopefully there is a way to use a transmitter on RC Plane otherwise I will just have to spend my money on a r/c game instead of on your game. Thanks anyway for your game.